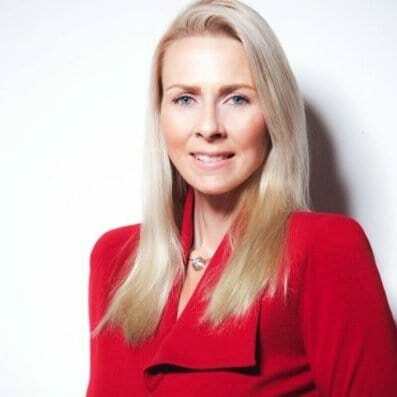 This year, MediaTek Inc (2454:TT) inaugurated its Industry Analyst Relations department, appointing Kristin Taylor as Vice President. In this new role, Taylor reports to the Chief Marketing Officer, a direct report of the Chairman and CEO of MediaTek who is committed to building Analyst Relations into the frontline of the company’s marketing and business development success. Taylor wrote this fascinating article to outline how the new program has hit the ground running. I believe that companies need to partner with industry analysts to drive new technologies forward and create new market opportunities. We can use each other, strategically, to create products and technologies. Long gone are the days of looking to analysts simply as a source for research reports or a consensus industry number on shipped quantities. Every time we interact with an industry analyst, we have the opportunity to spark a new technology idea, sow the seed for a revolutionary product or a new way of thinking about something. Analysts are a vital catalyst, with us, for creating impressive, out-of-the-box ideas that can change the world. This is my raison d’etre at MediaTek and I’m excited about the momentum we’ve built as well as the successes we’ve had so far in a few short months. MediaTek recently launched the world’s first True Octa-Core chip, for smartphones, called the MT6592. ‘Octa-Core’ embeds eight Cortex-A7ARM cores onto the SoC with the capability to run simultaneously. Mediatek achieves similar performance metrics of competitive chips at 50% less power because we chose a more power efficient core. This means devices don’t overheat or power down so users have a better experience throughout their day. A new industry standard is born! As part of the marketing plan we set out an extremely rigorous schedule to meet in person with key analysts in Hsinchu, Boston, San Francisco, San Jose, London, Stockholm and Shenzhen so that we could ‘push’ the word out on the inherent values of this chip. Clear lines were set regarding confidentiality and our time-to-market launch plans. Analysts were excited about the product and were eager to glean technical and market information from us. In turn, analysts spoke with carriers, tech partners and other customers about what we had explained to them in our one-on-one sessions. Analysts were impressed. There was a great buzz created and this in turn has created a ‘pull’ for the product. I want our work with analysts to be an even 50-50 of ‘push’ and ‘pull’. Sometimes I am pushing information out to the analysts, as explained in the Octa-Core example above. Other times, I am pulling from the analysts, requesting their insight into a particular growth trend, for example. A good balance of push and pull is so important; never too much of one or the other creates a valuable relationship of trust. We are determined to develop mutually collaborate ties with at least a third of the approximately 800 industry analysts out there covering ‘mobile’; technically astute and highly inquisitive, their influence is far-reaching and more powerful than many in our industry would like to admit. Our Analyst Relations strategy is starting to take shape, with full support from MediaTek’s divisions and key stakeholders. Industry Analyst Relations can sit as a relatively unimportant function inside of a company’s Public Relations department or, as MediaTek has done, a company can commit to developing a world-class Industry Analyst Relations function to increase mindshare and drive revenue and stock value. Next month, I’ll be exploring in a bit more depth how industry analysts influence financial markets, the press and other media outlets. We’ll be looking at ways to measure that influence as well.